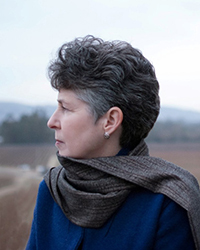 Katherine Brown-Saltzman, MA, RN, is the Co-Director and Co-founder of the UCLA Health Ethics Center. Her vocation in end-of-life care, led to her focus on ethics. 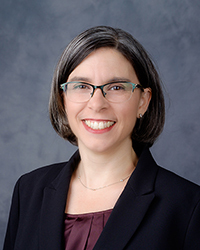 She has been a co-investigator in ethics grants from AACN, ONS, Sigma Theta, was part of an NIH grant developing end-of-life education for medical students, as well as a PCORI grant on advocacy. Her most recent area of research is centered on clinical ethics, investigating interdisciplinary assessment and communication about ethical disagreement. She is a member of two ethics committees and Co-chairs the UCLA Medical Center's Ethics Committee. With colleagues, she has developed interdisciplinary programs on sustaining self-care, moral distress, and ethics education, including a clinical ethics fellowship. As the Co-founder and President of the Ethics of Caring, a non-profit organization providing nursing ethics conferences since 1993, she initiated the first National Nursing Ethics Conference. Katherine continues to co-chair the planning committee of the NNEC, now in its sixth year. She lectures nationally and internationally, has developed ethics and end of life care policies and has published on diverse topics including ethics, self-care, end-of-life care, bereavement, spirituality, psychosocial care, and guided imagery. Writing poetry has allowed Katherine to transform the suffering and grief she witnesses in the world. Pamela Grace, RN, PhD, FAAN is an Associate Professor of Nursing and Ethics at the William F. Connell School of Nursing Boston College. She is an experienced critical care and advance practice nurse and educator. Her PhD is in Philosophy (1998) with a concentration in medical ethics. In academic year 2001/2002 she completed an Ethics Research Fellowship at Harvard School of Social Medicine and in 2003 was awarded a Fulbright Research/Lecturer Scholarship to Denmark. She has written and presented extensively on nursing philosophy, nursing ethics and healthcare ethics. Her award-winning book, Nursing Ethics and Professional Responsibility in Advanced Practice (2018) is now in its third edition and is used internationally as a guide to ethics in advanced practice settings. Along with colleagues, she developed the Clinical Ethics Residency for Nurses a curriculum to develop nurse confidence in their ethical decision-making. Her ongoing scholarship and education endeavors are focused on facilitating nurses' and healthcare providers capacity to work toward meeting professional goals of individual and societal good. Ana S. Iltis, PhD is the Director of the Center for Bioethics, Health and Society, Professor of Philosophy, and Carlson Professor of University Studies at Wake Forest University. She also holds an appointment in the department of Social Sciences and Health Policy at Wake Forest School of Medicine and is a Non-Resident Scholar in the Center for Health and Biosciences in the Baker Institute for Public Policy at Rice University. She is President-Elect of the American Society for Bioethics and Humanities, and will serve a two-year term as President beginning in October 2019. Dr. Iltis' work focuses primarily on the ethical conduct of human research, including research involving children, first-in-human studies, mental health research, informed consent, and risk in research decision making. Much of her current work is at the intersection of organ transplantation and research. 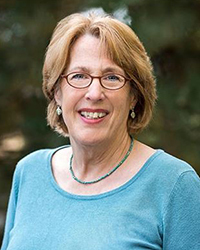 She has published widely in bioethics, serves on several National Institutes of Health data safety monitoring boards, and holds a wide range of editorial positions, including: Co-Editor of the Annals of Bioethics book series (Routledge), Senior Associate Editor of The Journal of Medicine and Philosophy (Oxford University Press), and Co-Editor of Narrative Inquiry in Bioethics (Johns Hopkins University Press). She received a B.A. in Philosophy and B.A.H., an interdisciplinary Honors degree, from Villanova University, and a M.A. and Ph.D. in Philosophy from Rice University. 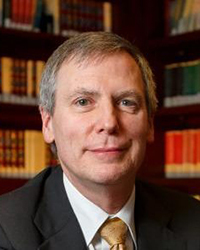 Daniel P. Sulmasy, MD, PhD, MACP is the André Hellegers Professor of Biomedical Ethics in the Departments of Medicine and Philosophy at Georgetown University, where he is Acting Director of the Kennedy Institute of Ethics and a member of the Pellegrino Center for Clinical Bioethics. He received his AB and MD degrees from Cornell University, completed his residency, chief residency, and post-doctoral fellowship in General Internal Medicine at the Johns Hopkins Hospital, and holds a PhD in philosophy from Georgetown. He has previously held faculty positions at New York Medical College and the University of Chicago. He has served on numerous governmental advisory committees, and was a Member of the Presidential Commission for the Study of Bioethical Issues 2010-17. His research interests encompass both theoretical and empirical investigations of the ethics of end-of-life decision-making, informed consent for research, and spirituality in medicine. He is the author or editor of six books - The Healer's Calling (1997), Methods in Medical Ethics (1st ed., 2001; 2nd ed., 2010), The Rebirth of the Clinic (2006), A Balm for Gilead (2006), Safe Passage: A Global Spiritual Sourcebook for Care at the End of Life (2014), and Francis the Leper: Faith, Medicine, Theology, and Science (2015). He also serves as editor-in-chief of the journal, Theoretical Medicine and Bioethics.